The brain is a complex organ that can be difficult to understand. However, visual models can facilitate the learning process, especially when created by hand. 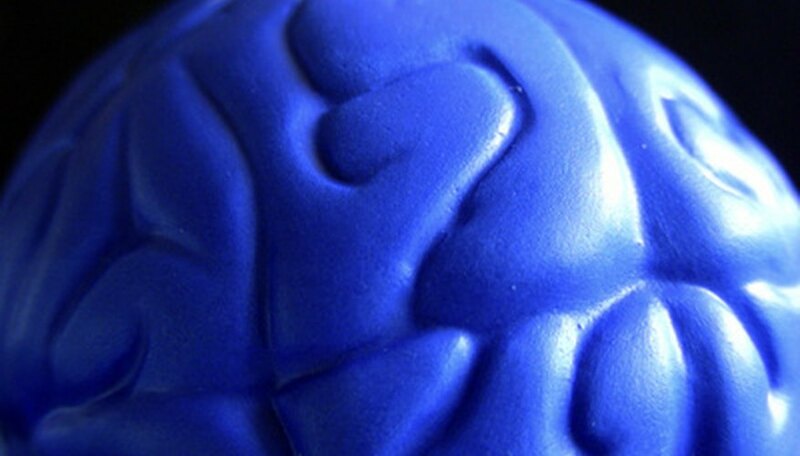 These simple brain model ideas allow concepts to become more tangible and easier to grasp for students, and they provide a fun hands-on opportunity to learn. Put on your thinking cap with this brain hat. You will want to be able to wear the finished product, so for your base you should use a bowl, balloon or other similar object that is similar in size to your head. Once you've chosen the base you want to work with, cover it with masking tape. Cover this base again using strips of newspaper and papier mache paste. The paste can be made combining white flour, water and salt. The mixture should be made of about 1 part flour, 1 part water and a few tablespoons of salt. Coat the newspaper strips in the paste using your fingers to strip away excess globs. You will want to make several layers of newspaper papier mache to ensure your final product is strong enough, but make sure to let each layer dry completely before creating a new one over it. Once you are satisfied with your layers and the cap is dry, remove it from the base form. You may have to cut some of the excess edges to make it a good fit for your head. Paint your brain hat to resemble the structures of a real brain, such as the different areas of the cerebral cortex. Use different colors for each structure. Make a 3-D brain model using different colors of clay to indicate different structures. You should first print out a picture or a diagram of the structures you want to highlight. For example, you might want to make a model of the different lobes of the brain. Use your diagram as a guide, and decide which colors will be assigned to which structures. 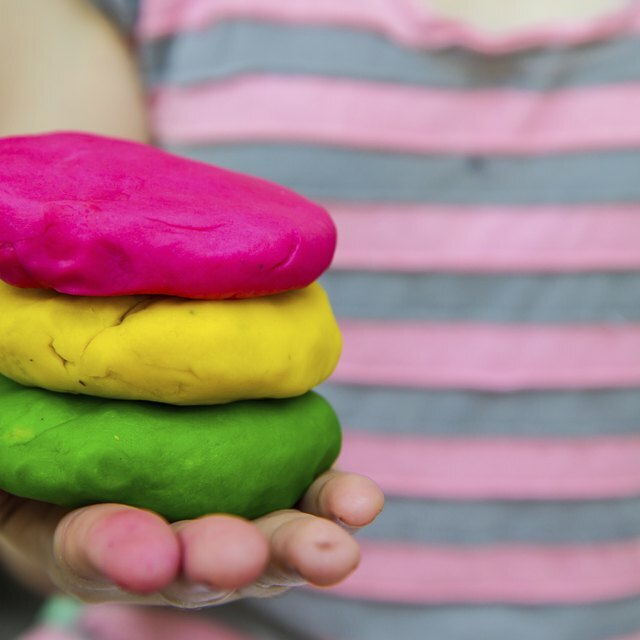 Use pre-made play dough in a variety of colors to create each structure, combining them to make up the whole brain. This brain, although it requires cooking, is not edible. Combine 1 cup flour with 1/4 cup salt and 1/3 cup water. The amount of water may need to be increased to 1/2 cup if the mixture is too dry after the items have been combined. Once the mixture begins to stick together, coat a flat surface like a cutting board or countertop with flour and begin kneading the dough. When the dough becomes moldable, shape the different areas and structures you've chosen to include in your model. If you have made these in separate pieces, attach them back as one whole brain before placing the model on an ungreased cookie sheet. Insert the cookie sheet into a 350 degree oven for 10 to 15 minutes. Your brain should have started to brown by the time you remove it from the oven, but make sure it doesn't burn. Allow time to cool before you paint it, using different colors to highlight each separate structure. Burns, Megan. "Brain Model Ideas." Sciencing, https://sciencing.com/brain-model-ideas-6765042.html. 25 April 2017.